Innovative Czech turntable manufacturer Pro-Ject has announced details of a new step-by-step turntable set-up video currently available on video sharing website YouTube. The video, which was prepared by a Canadian website company called planetofsoundhifi, demonstrates how to set up Pro-Ject’s popular Debut III turntable (£180). The online tutorial covers all aspects of correct set up and, crucially, includes details on balancing the tone arm so that the pre-fitted Ortofon OM 5E cartridge is correctly lined up. 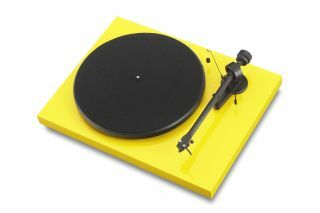 Turntable set up can be intimidating even for experienced audiophiles and with Pro-Ject’s turntable range largely aimed at newcomers and returning vinyl fans, the tutorial takes the guesswork out of the important set up process. Commenting on the YouTube video, Laurence Armstrong, the MD of Henley Designs – the UK importer of Pro-Ject turntables – said, “We were very pleased to see such a well-produced and easy-to-follow instructional video for the Debut.